Dynasties rule in Bollywood. Bollywood is seeing a new generation of star kids these days. From Tiger Shroff to Sooraj Pancholi and Athiya Shetty, youngsters are following the footsteps of their parents. Looks like Sridevi’s daughter Jhanvi Kapoor is all set to enter Bollywood. She is creating quite a stir all around. 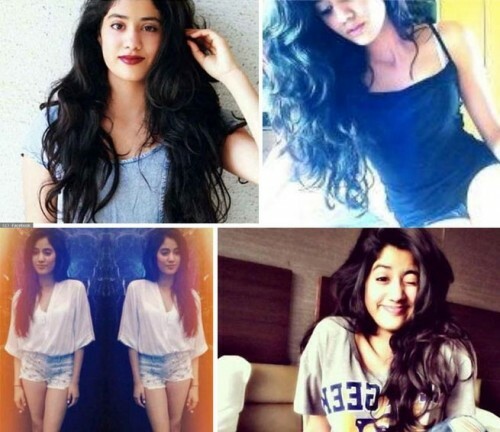 Jhanvi not only has her mother’s good looks but seem to have take after her in style and fashion too. Jhanvi and her sister Khushi have been spotted together at various events. If rumours are to be believed, Jhanvi might soon debut in a currently unnamed Karan Johar production. Hope this star kid is able to create same magic as her mother.